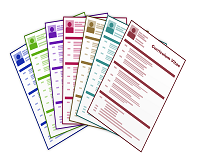 For our latest Newletters please visit our members area under the Resources tab. Welcome to the Rowan Organisation's Website. The Rowan Organisation is a leading provider of Direct Payments, Personal Budgets and Personal Health Budgets support services in England and Wales. 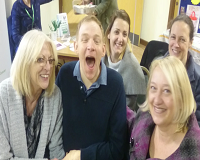 We provide high quality, person-centred support services to disabled people, older people, people with learning disability, people with mental ill-health, families and carers. 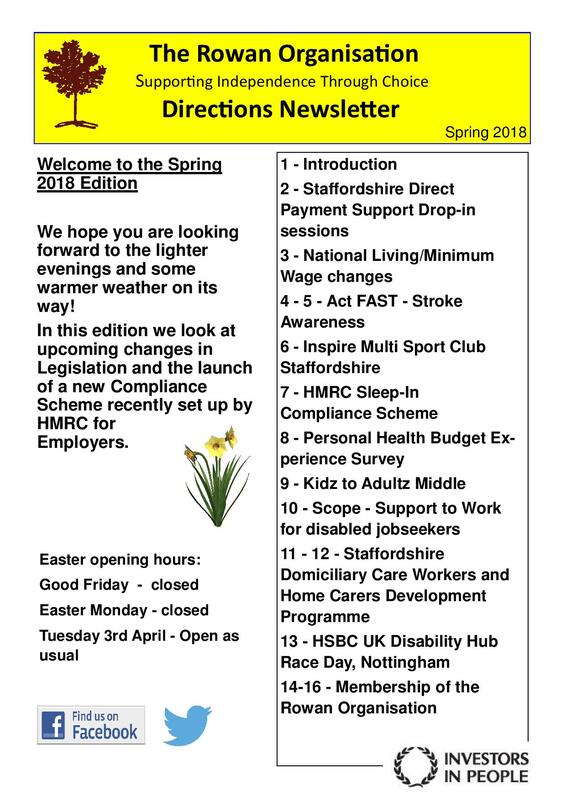 On this site you can find information about our services, Direct Payments, Personal Budgets and Personal Health Budgets in your local area, the latest news relating to independent living and disability related issues, copies of our latest newsletter and much more. We also advertise Personal Assistant (P.A.) and Carer vacancies on behalf of service users we work with. If you are interested in working as a Personal Assistant, please visit the PA Vacancies page for more information. The Rowan Organisation is a user-led organisation (U.L.O.) and a registered charity that provides support to people across the U.K., and we are committed to the social model of disability, to overcoming the barriers that prevent disabled people from having equality of opportunity and achieving the outcomes that they desire. Support for businesses and employers throughout the UK. 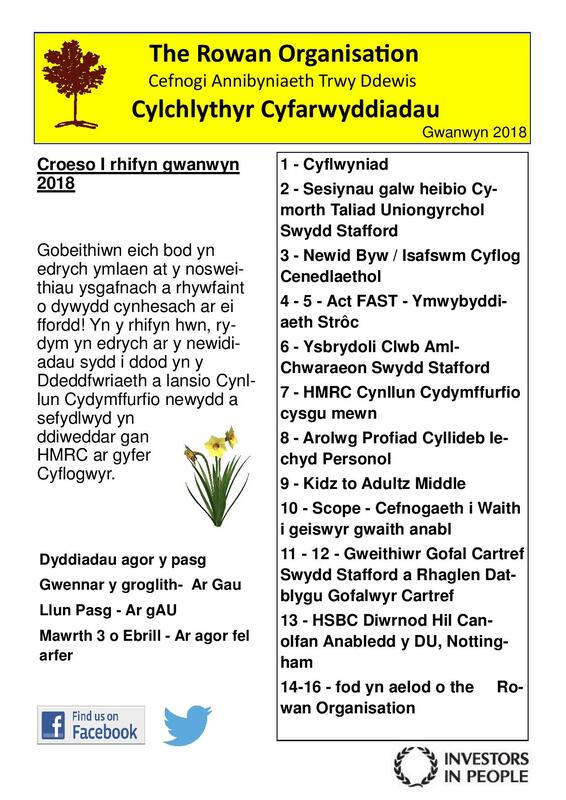 For further information please view our English brochure or our Welsh brochure. If you have any enquiries please contact our team on 02476 322860 or e-mail TROplc@therowan.org. Have you / do you use our services? We are always looking to develop and improve on the services and support we provide. In order to get your valuable feedback we have developed an online survey for Service Users we have supported. This can be found below. As a User Led Organisation we are governed by our board of managment, which is made up primarily of Service Users. We are looking for new members to join us shaping our Organisation now and the future. If you would like more information please e-mail us. We look forward to hearing from you. In keeping with our ethos of accessibility for all, our website has been designed to be accessible and complies with the W3C Worldwide web accessibility standards (AA rating). If you would like more information about the accessibility features of this website, please click here. We hope that you find this website useful and welcome any feedback which may help us to improve it.